Made in Russia through a joint venture between the Levenhuk Company and the Russian Kazan Optical-Mechanical Plant, the range of Levenhuk Heritage binoculars is interesting in that they are only producing them in limited numbers and you can tell by their name and the way they are marketed, thatr Levenhuk is clearly aiming these at those want a new binocular that looks and feels old school. From the very traditional porro prism body shape to the fact that they are made in Russia with their typical, industrial, no frills but a bombproof attitude to design, these binoculars look exactly like something that your grandparents or at least you parents would have owned. Levenhuk make a point of highlighting that the company that makes these supply optics to the current Russian and previously the old Soviet union military and thus has to meet the highest standards demanded by the military. On the negative side, this design is far less compact than the sleeker, straight through shapes, you get with an average roof prism binocular. this is because the light runs straight through the prism and thus can set the eye-pieces in line with the objectives. 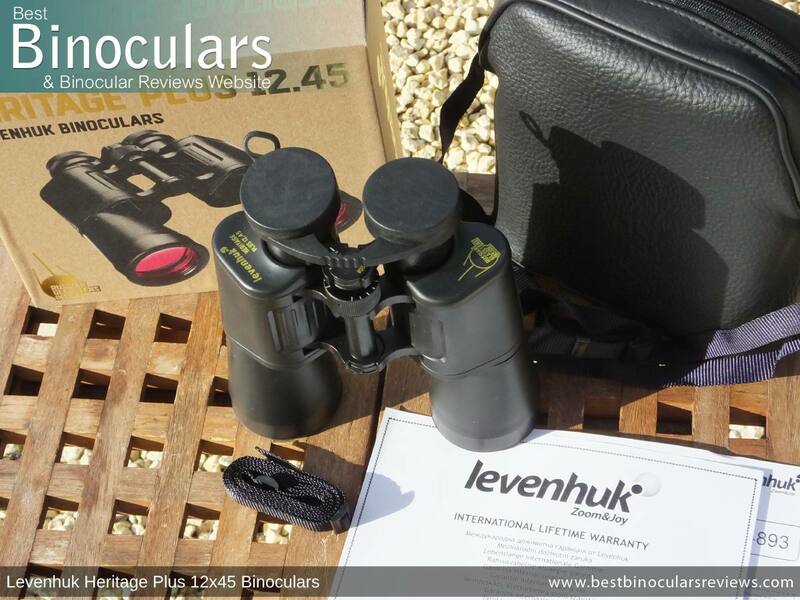 These Levenhuk Heritage Plus binoculars have a thin, very hard and very smooth black rubber exterior. These qualities mean that they are less well cushioned from impacts and you get far less grip than that of textured, softer rubber. On the positive side, it is my experience that hard rubber exteriors tend to last a little longer and are less prone to perishing. 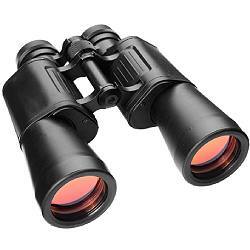 The chassis of these binoculars is fashioned from an aluminium alloy. 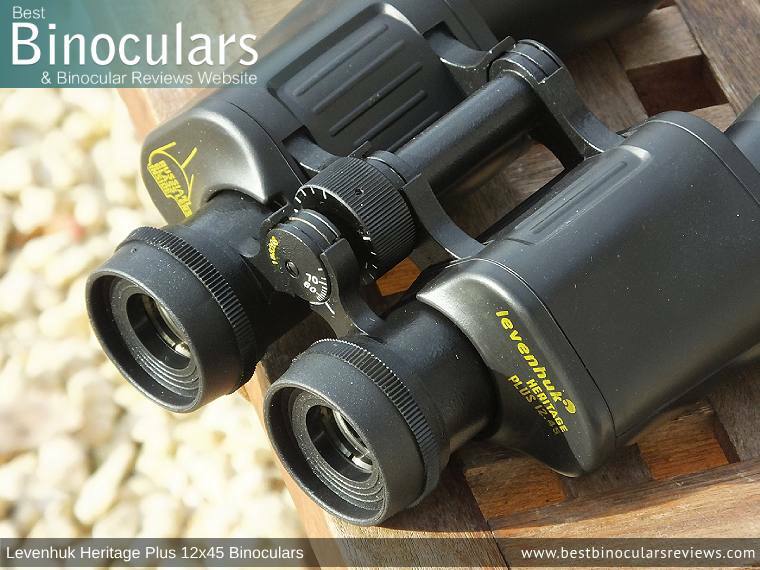 Whilst this is heavier than the polycarbonate ones used by many binoculars at this price level, it is certainly tougher. In the marketing and specifications sheet, there is no mention from Levenhuk about these being water or fog proof and so I will assume that they are neither. If you don't plan on using your binoculars in the rain this may not seem like a great deal, but just keep in mind that a fully sealed chassis also prevents dust from entering the system and the internal fogging of lenses can occur simply when leaving a warm house and going out into the cold. I also see this as a general marker as to the quality of an instrument. Initially, it looks like these Levenhuk binoculars will be able to accept a standard tripod adapter. But on closer inspection, the thread that holds the dust cap on the front hinge is far too small. This is a shame as with the powerful 12x magnification, it would on occasion be nice to be able to easily fix the instrument onto a tripod to get a completely rock steady view. Note: If this important to you, there are other designs of tripod adapters that will work, for instance, one design uses a claw to clasp onto one of the barrels. For more info follow the link above to my article on tripod adapters. Like the main chassis, the main eye-piece housings look to be made from Aluminium. This great as this is often an area that gets damaged if the instrument is dropped. The cups themselves are made from hard rubber and are quite small (38mm diameter) which means they are not the most comfortable ones that I have ever pressed against my face. They are also not adjustable, so there is no twist-down or fold down mechanism and so you cannot alter the level of eye-relief. For most users who don't wear glasses, this should not be an issue as they are set to the correct eye-relief. However, along with the small amount of eye-relief (12mm), it makes these pretty much unusable when wearing glasses. 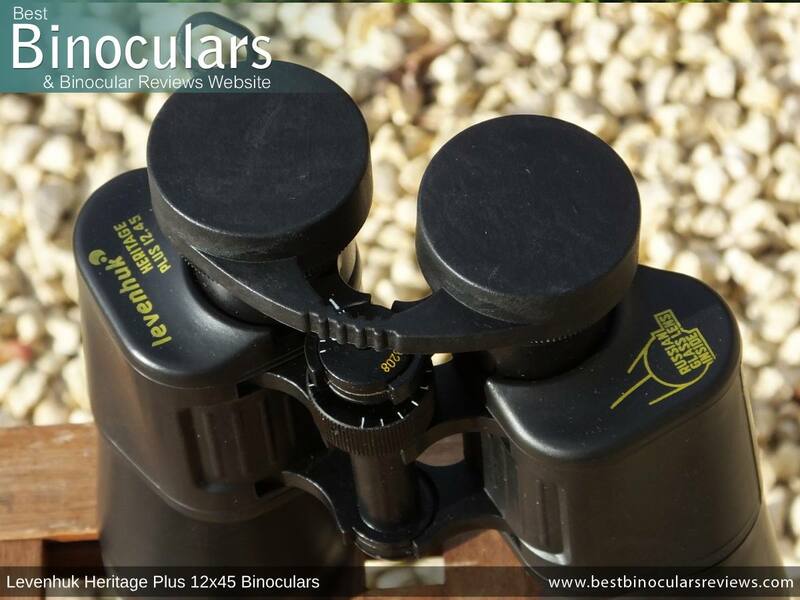 These Levenhuk Heritage Plus binos have the focus wheel located within the centre of the central hinge, a feature that is quite common amongst porro prism instrument and especially ones with a more old fashioned design like these. This design does require a slightly further reach, but it should be fine for the majority of users unless you have particularly small hands. At 25mm in diameter and 12mm thick, the wheel itself is also relatively small. For the most part, this is not an issue but can make it a little harder to locate if you are wearing gloves. The focus mechanism is such that it takes one full turn (360°) to take the focus from the minimum focus distance right to infinity. This is reasonably fast and makes large focus adjustments quick to make. On the downside, making accurate fine adjustments is a little more difficult to achieve. On my sample, the wheel was easy to turn and whilst not quite as smooth as the best it was in no ways bad. Positioned on the right eyepiece, you can adjust the diopter setting by turning the eyecup. 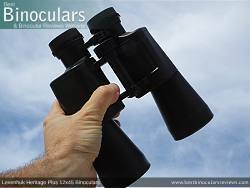 Correctly adjusting the binoculars to match your vision is an important step to setting up your binoculars. Unlike on some instruments, the diopter is not lockable and as it is directly linked to the eyepiece it can easily be moved by accident. However, there are clear markings and so as long as you remember your setting it is easy to return to the correct position. Weighing 31.68 ounces / 898g these are by no means a lightweight binocular which you can see from the table below. 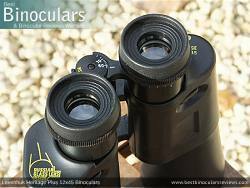 However, do keep in mind that these use larger 45mm lenses and the body is made from Aluminium. 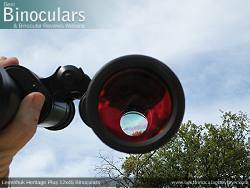 Many cheap binoculars will use a lightweight polycarbonate plastic which is cheaper to produce, but certainly not as strong. Once again if you compare their dimensions to your average 42mm binocular, you will see that these are quite a lot larger, especially in terms of their width. However, remember that this is a porro prism shaped instrument which is quite different from the roof prism designs of the others on the list. Also keep in mind that their width places the objective lenses further apart, which has the advantage of offering a more stereoscopic view for better depth perception. Even so, if low weight and compactness are important features that you are looking for in your search for a bino, then these will not be the choice for you. The Levenhuk Heritage binoculars come about as a result of a joint venture between the Levenhuk Company and the Russian Kazan Optical-Mechanical Plant who supply optics to the current Russian and previously the old Soviet military. According to the information that I found on Wikipedia, the Kazan Optical-Mechanical Plant Production Association was started in 1940 and has grown to become one of the largest Russian optical companies. 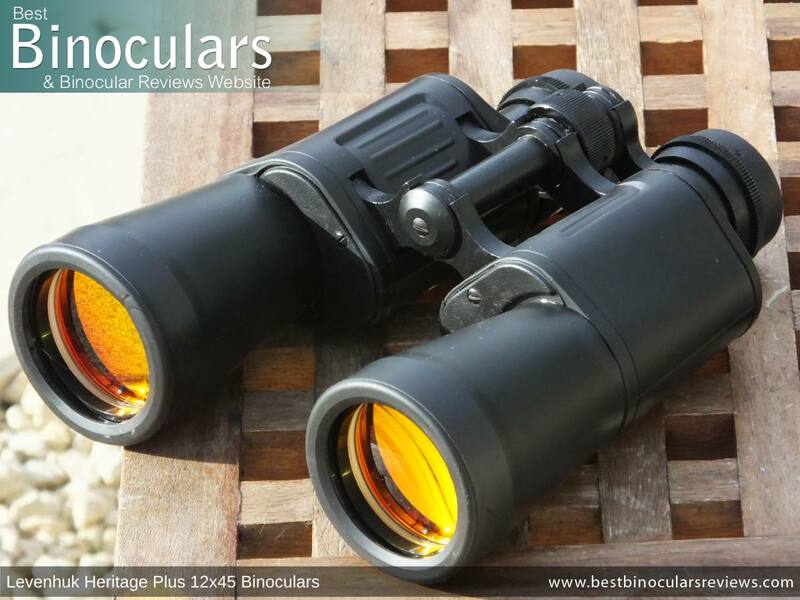 As well as binoculars, the company manufactures a diverse range of optical devices including submarine periscopes, aerial cameras, satellite cameras, laser rangefinders and night-vision instruments. 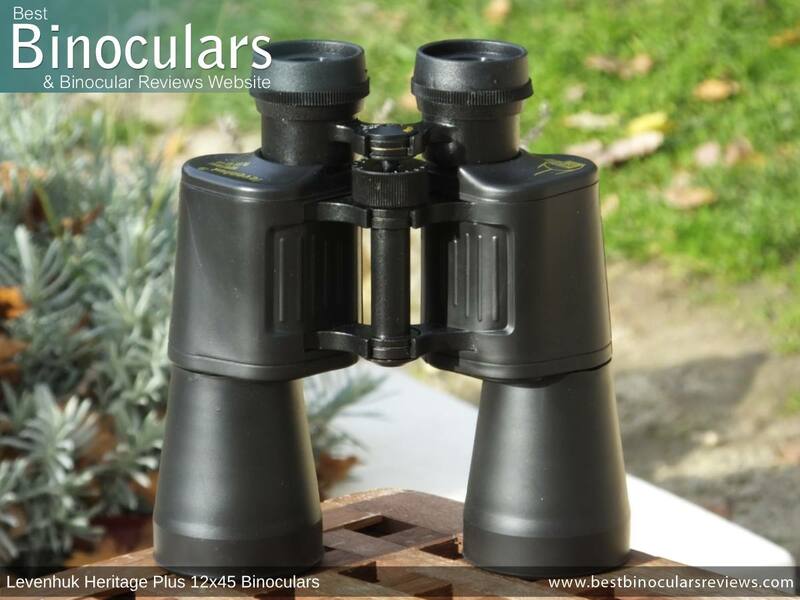 According to the manufacturers, the eyepieces on these Levenhuk Heritage Plus 12x45 Binoculars consist of 5 separate elements, but they don't expand any further. Each of the 45mm objective lenses consists of two elements arranged into a simgle group and I like the fact that the exterior lens surface is set back just over 10mm from ends of barrels. This deep setting provides them wirth a good level of protection. Both in terms of physical damage, but as well as from falling rain or even just to help prevent dust from settling onto them. 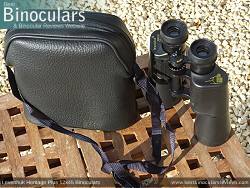 As I have already mentioned, the general shape of the body and the fact that the eyepieces don't line up with the 45mm objective lenses reveals that these Levenhuk Heritage binoculars use porro prisms and not roof prisms to invert the upsidedown image produced by the lenses. Whilst the porro prism design may look old fashioned, using these prisms does offer up a number of advantages especially if you are in the market for a cheap pair of binoculars. Roof prism instruments are less expensive to produce because the prisms do not need reflective mirror and phase correction coatings on the prisms to perform at the same level as an equivalent roof prism. Levenhuk advertises that the prisms are made in Russia from BK10 optical glass. To be honest I have not come across this before on a pair of binoculars and have struggled to find out much information about it on the web, so cannot really comment. To save on production costs, some instruments within the lower price brackets will either leave some glass surfaces untreated (Multi-Coated) or only apply a single coat to them (Fully Coated). A fully multi-coated optical system like these will far outperform the cheaper options in terms of image brightness and quality as it ensures more light not only gets to your eyes, but there is less interference along the way. (Take a look at this section on Anti-Reflection Lens Coatings if you want to learn more). 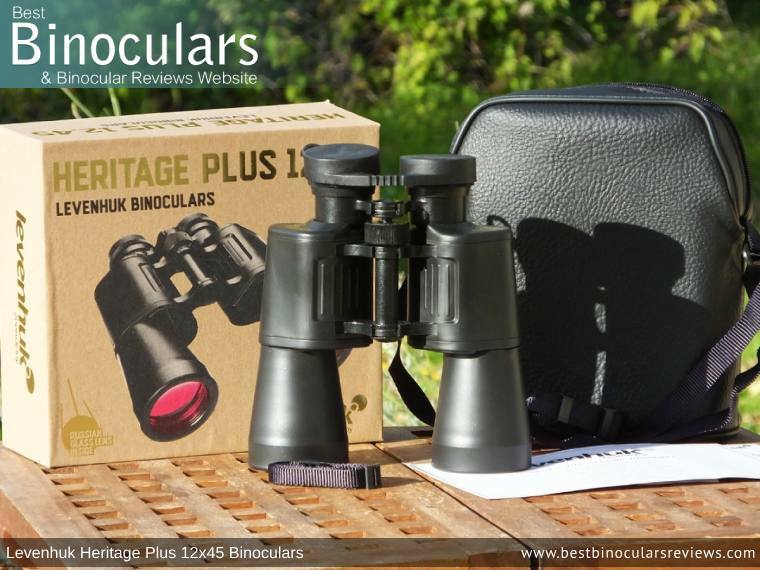 As you can see from the photos these Levenhuk Heritage PLUS 12x45 binoculars have what Levenhuk describes as a "special ruby coating that improves contrast and image sharpness in twilight". This may be true, but I also believe it filters out red light and which is why you definitely get a slightly blue/green tinge to the view which does look and feel a little more vibrant than a warmer view, especially in low light. For 12x power, this is pretty good but is a little narrower than most 10x binoculars (see table below). This clearly demonstrates the compromise of having a higher magnification: You get more image detail and further reach, but you have to sacrifice the width of the image. 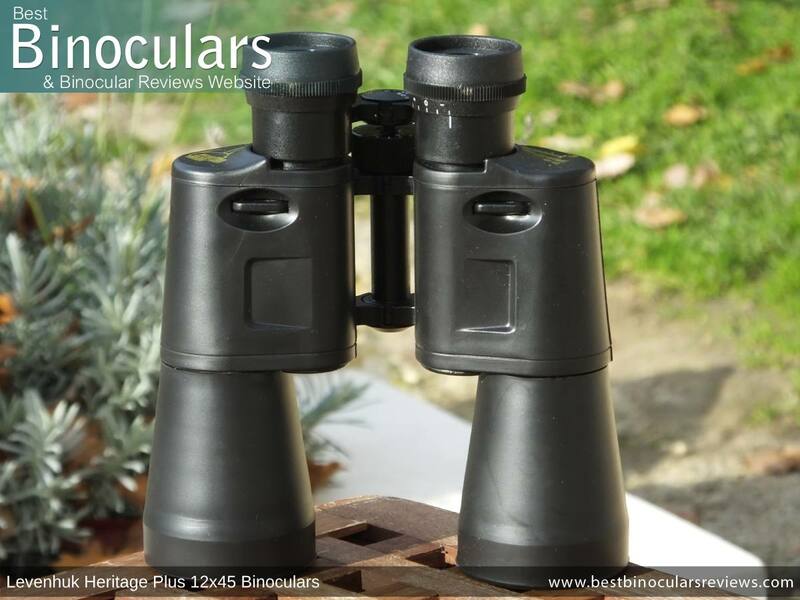 At only 12mm the eye-relief is on the short side, which in combination with the non-adjustable eyecups makes these binoculars unsuitable for those wanting to use eyewear whilst binning. I tested this by wearing my sunglasses and sure enough, it means that you cannot get your eyes close enough to the ocular lenses and the best you get is a highly reduced field of view that looks like you are looking down a small diameter length of pipe. At 6 meters (19.7ft), the minimum focus distance on these Levenhuk Heritage binoculars is poor when compared to most standard binoculars, especially those that use roof prisms. Here on BBR anything at 6ft or under is considered excellent and some get much closer than that. So it is for this reason I would never recommend these to anyone who like to use their bins for the close observation of things like flowers, insects or even birds. In good to average light conditions, the image brightness was good especially considering the powerful 12x magnification that requires thicker glass (so less light gets through) and produces a much smaller exit pupil (3.75mm) than a standard 8x42 binocular (5.25mm). However, it is this smaller exit pupil that does hamper these binoculars in really low light. At this time, your pupils are dilated and usually larger in diameter than the exit pupil and thus it means they are not being supplied with as much light as you would get from an 8x42 binocular with its larger exit pupil. Whilst still usable in very low light, the result is that they do look to produce a less bright image. In general, the colors look vibrant without being too harsh, but it is noticeable, especially when you compare the view through these with other instruments that there is a slight blue/green tint to it. My guess is that the ruby coatings on the lenses filter out red light and which is why the image appears to have a more cold colour appearance. Levenhuk state that these coatings are designed for the twilight hours and are supposed to improve both the contrast and image sharpness. This is very hard for me to judge as I don't have a model without these coatings to compare against and as I have already mentioned, the fairly small exit pupil on these means that they are never going to be the ideal instrument to use in at this time of day. In terms of the contrast, you do get a nice variation between light and dark and the image is neither too washed out or to flat. The level of color fringing along the edges of objects is minor and is made all the more impressive when you consider their high 12x power that is sure to magnify and thus highlight this type of distortion. The image that you see looks flat and I never noticed any sort of curvature or other types of distortions that can occur. The amount of image softening along the edges of the view is perfectly acceptable and about what I would expect to see at this level. It does not distract from the overall view, but it is a little more than what you would get on a high-end instrument. 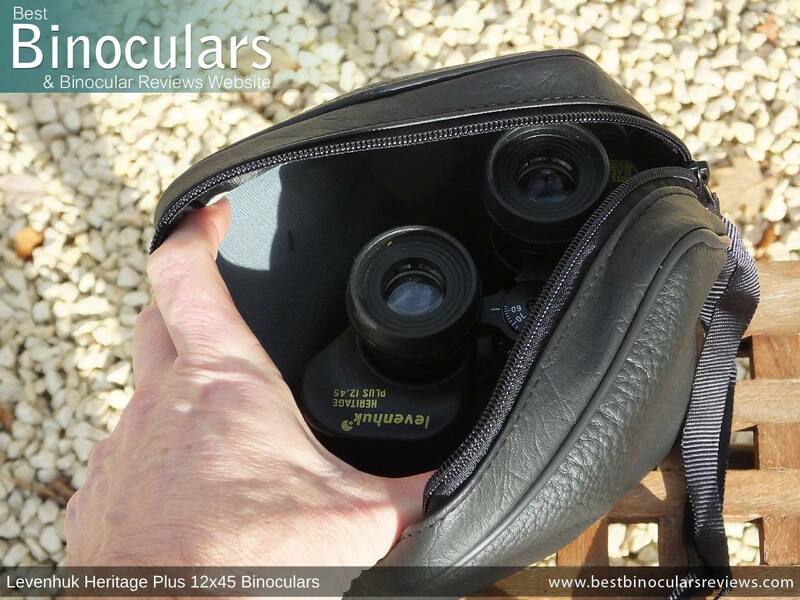 Internally it has a nice soft lining which protects against scratching or marking of the lenses but it is only very lightly padded and the soft structure means that this carry case only provides a really basic level of impact protection. The case does include its own carry strap, it can be length adjusted and whilst it is not padded, it is wider than the actual neck trap (see below) and thus more comfortable. The bag lacks any extra pockets and there is no belt loop. On the positive side, the zip fastener is secure and looks nice and robust. These 12x45 Levenhuk heritage binoculars also fit nicely inside and you can easily fasten the zip. 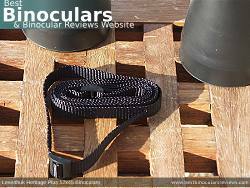 The supplied neck strap is a very basic nylon cord. 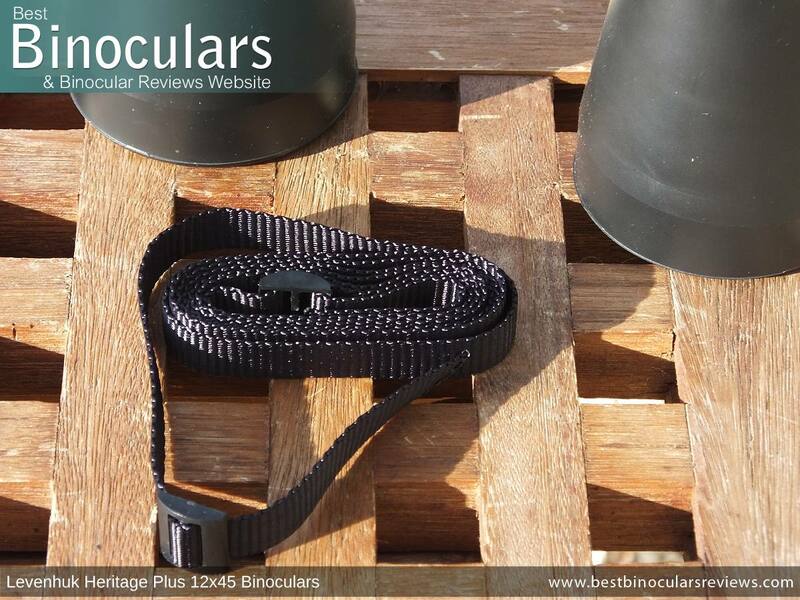 This in my opinion is far to basic for a binocular of this size and weight and I feel that it should be wider and have at least some padding to make it comfortable to use. 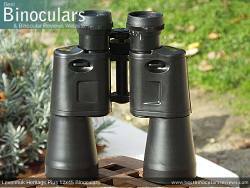 It is somewhat unusual, especially for a binocular with objective lenses this large not to have any kind of covers supplied to protect them. Whilst the internal surface of carrying case has a soft lining, the lack of any objective lens covers is a strange omission as it means that in order for you to ensure that your lenses remain protected and as clean as possible, you need to return your binocular to the case immediately after use. 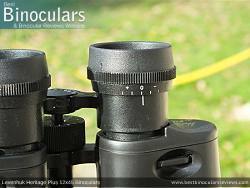 Made from plastic, the rain-guard or eyepiece cover fits loosely onto the eyecups and thus comes away very easily. It does have a loop that you can thread through the neck strap which I suggest you use otherwise you are likely to lose the guard when out in the field. I suggest purchasing an innexpensive lens cleaning kit. 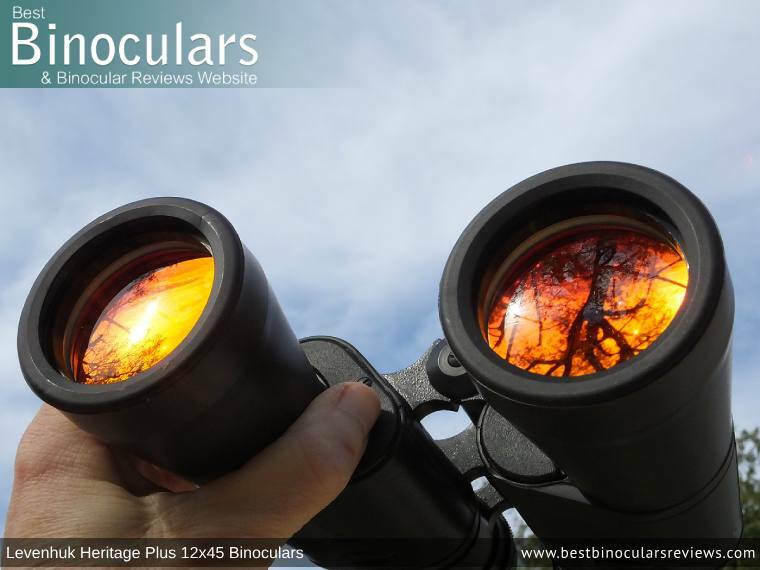 There is no doubt that these binoculars take you back in time and will apeal to those looking for a classical looking binocular. Take a look at my review of the Levenhuk Sherman PLUS 8x42 Binoculars, they cost less and are in my opinion a better instrument and if you must have a 12x magnification, Levenhuk also makes the Sherman Plus in a 12x50 configuration which currently (at the time of writing) costs around $140 / £114. Having said that, these are not bad and I did enjoy using them, I just think a little overpriced at the moment, so if you do happen to find them on a deal or if in the future they drop in price then for the right use they are well worth considering. If you simply must have a binocular with this design, it may also be worth looking at the second-hand market. Here you may be able to pick an instrument that was cutting edge in its day using better quality optics and thus still makes for a good quality one now. 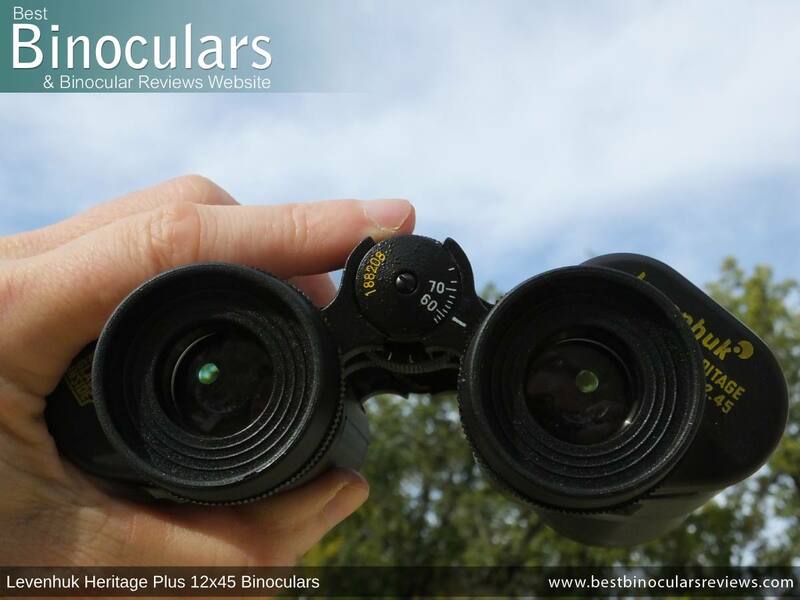 Just be sure to be careful as buying second-hand binoculars can be a minefield. You cannot argue against the Lifetime Warranty that Levenhuk offer with these and I think all their other binoculars. The 45mm lenses are nice and large but not so big as to make the binocular too bulky. They capture a good amount of light to produce a nice bight view during the day in sunlight and I like these in combination with the powerful 12x magnification for longish distance observation as you still get a reasonably large 3.8mm exit pupil and so whilst you would not call them the ideal binocular for use in very low light like twilight, they are still able to achieve a decent performance when light conditions are not perfect like on dull overcast days. The aluminium chassis is robust and I would almost go as far as to say bombproof and whilst this does make them a little heavier, it is better than many of cheap plastic alternatives currently on the market. These have a long minimum close focus distance, which is certainly not ideal for those needing to make detailed observations at close range. The eye-relief is on the short side and there is no way of adjusting it on the eyecups, meaning that these binoculars cannot effectively be used whilst wearing any sort of eyewear.